Persuade people to take their wallets out and give you cash? Introduce an new product or service into the market? Sell courses, coaching, consulting or other professional services? Well, I got some good news for you, because I’ll help you right here, in this post. Your message actually writes itself once you understand your customers. So get to know your customers first – and when you write your copy (sales message) it cuts through the noise and they want to do business with you. Some people call this their ‘target market’ or ‘niche’. I don’t care what you call it. You have to know, beyond doubt, who you are going after. If you say “…but Andy! I sell to everyone!” then good for you. But nobody is good enough to that message for you – a message that is high-impact to everyone. SIDEBAR: Pick your market. Then, pick a segment withing that market. This step is much easier once you niche down to an individual in the previous step. Now, you can dig into what keeps them up at night, what their nagging frustrations, insecurities and fears are through the day. What they dream or wish thing could be like that they don’t want to share. You need to know who they are. So when you deliver your sales message, they trust you and when you offer something they buy it. Listen, if you don’t know “who” you’re after and “why” they desire it, then why are you here? I suggest you stop and go do an art project or something if you like “putting stuff together” for the sake of it. Marketing is a science, NOT a ‘creative expression’. Nearly all have been screwed by past results from marketers, copywriters, business coaches. They still don’t know and they need an expert to do things for them… a trusted adviser/partner. Most their problems can be solved with a cashflow injection so they want a flood of customers/clients. If you know who your talking to, deeply, then you’re ready for this next step. We’re going to craft a message that gets them to take the action you want them to take. Getting an email from a sign-up form? Getting them to schedule a phone call? Getting them to schedule a face-to-face meeting? 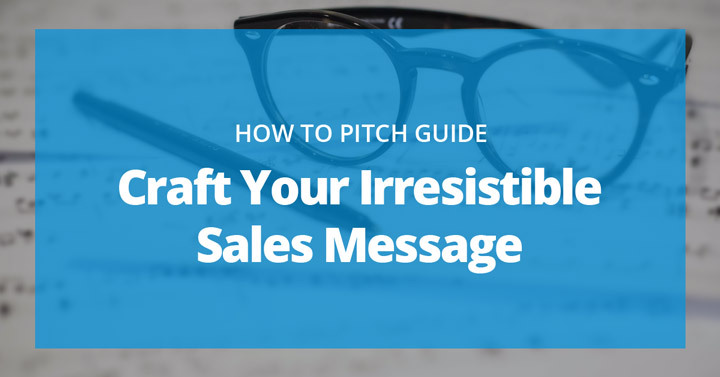 Well here’s a “starter” formula to help you craft this irresistible message step-by-step. 1. Make sure they’re paying attention. That’s the first part – you have to call their attention. You wouldn’t buy medicine for “everyone”. The same thing applies to your message. You got their attention now keep it. Copywriting tip: Notice, that headline is written based on words I’ve heard female trainers use when describing their problems when getting clients. This headline wouldn’t work as well for male fitness trainers. Pivot the headline into a conversation using the “if, then” statement. And then create some trust. Steven Covey’s book, “the 7 habits of highly effective people” mentioned you should listen more than you speak if you want to build a deep connection. Obviously they’re not here to speak for themselves, BUT, if you manage to explain their problem better than they can explain it themselves, they’ll trust you. We do this by you go through their challenges that you KNOW they have because you know who they are. So describe some of their challenges here as if they would describe it themselves (from their perspective). DO NOT offer your product yet. Because, in the previous step you exposed their deepest, darkest challenges… and it would be cruel to take advantage someone who is currently vulnerable. Some people might resent you for taking advantage of them at this state. Then, introduce your product or service in the form of a solution. List all the cool benefits and results this it will bring for them and how it solves their problem. Then, finally, at last! You tell them you’d like to offer it to them. 5. Show value first, then the cost. Comparing it to something of lesser value. Reveal how much time you spent working on it. Tell a story of the trouble you went through developing this. You build your value, so when reveal the price, it’s juxtaposed to the intrinsic value and they feel like the price is lower than the actual cost. They should feel like it’s, “worth every penny”. Depending on your market and audience, you can tone this down or up. Don’t underestimate how much people want what they can’t have. Since the grass is always greener on the other side so once you remove the risk, do a takeaway. You want them to validate themselves by saying, “ohh definitely, this is for me!” It challenges them a bit and you come off less desperate. You can do some bonuses if you like, or you add testimonials and social proof. You can say, “this isn’t for everyone… BUT… here are some comments from people just like you – and here’s what they have to say (ref. Crossing The Chasm by Geoffery Moore). These things are designed to push them over the edge of desire and belonging. After adding testimonials and social proof… you can throw in some scarcity – because it’s a universal law of persuasion and this is a great time to use it. People have a tendency to take action within a time frame. So add a deadline, make it real. You can play with language a bit but just don’t lie. The end of the pitch is your call to action. “Look, here’s your chance to make a serious commitment in your life to get the X results and move away from X pain, so step into the action you need right now with this product. Note: many people mess up here. Remember, you are done with all that “soft persuasion” stuff. It’s time to sell and sell hard. The worst thing you can do is be meek at this point in the game. They have to have confidence in your confidence here. Sometimes, people will scroll all the way down to the bottom and start reading from there. And there you have your key elements to a solid sales message. If you’re missing any of these elements in your copy, then go back and see how you can implement this. Communication is done through language. And when it comes to digital marketing your copy or the words you in your sales message is critical to make someone want to buy something. You can have all the funnels in the world, all the ads and landing pages, autoresponder sequences… but if that architecture and that sequence isn’t filled with actual sales copy that converts into money… it doesn’t matter what you do. Write your sales message using the structure I’ve outlined for you in this article. If you do this, you can create advertisements that will… Double, Triple… Even 10X results what you’re getting now if you’re not using a format like the one here. I will personally review of it for you, for free. Reach out now, because I’m not sure how long I’ll be doing this. I’ll shoot you a quick video analysis of your pitch for free and share it in the group. Take this as an real opportunity to build one of your most powerful assets – a powerful, high-converting sales pitch – and jump on this opportunity now while it’s still here.